14 Feb 2019 : Sounds that keep you moving. Kicking off our 2019 we're bringing Bristol head Hodge to WHQ! 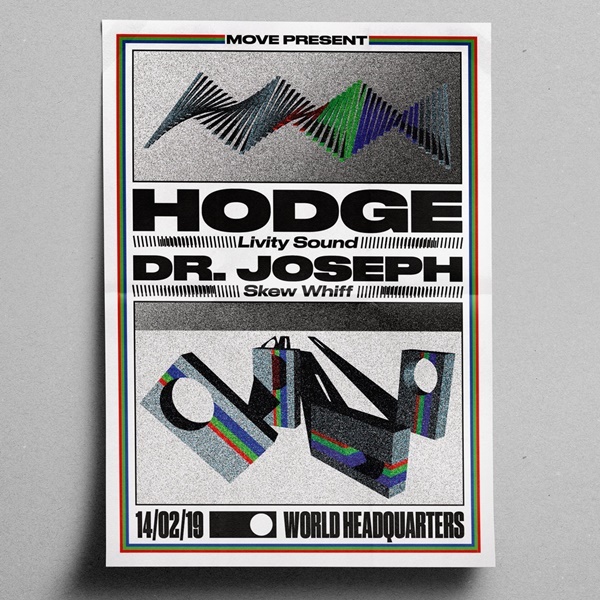 With releases on Livity Sound, Hemlock Recordings and Berceuse Heroique, Hodge has solidified himself as one of the heavyweights in the scene. It's a pleasure to get local legend and rising star across the world, Dr. Joseph on board for this one too. Joseph is the founder of Backdrop and DJ/Curator for the Ape-X/Skew-Whiff "Outer Limits" series of parties. We couldn't think of two better DJ's to get the 2019 ball rolling with a techno workout.